Helping you make music is one of my greatest passions! Hello, my name is Marty West Acuna, and I am excited to join the Team here at Music & Arts. I am a Percussionist by trade, but I'm also quite knowledgeable in ALL areas of Instrumental, Choral/Voice, School Music Programs, and Electronic Music. I also have some experience in the Recording arena too. I would LOVE the opportunity to help you make music in any way that I can! Think of me as your “Inside Source” here at Music & Arts. I am also proud of my affiliation and friendship with many, many, many Music Educators, Private Teachers, and Artists/Performers here in Tucson & Southern Arizona, our great State, Nationally and Internationally. 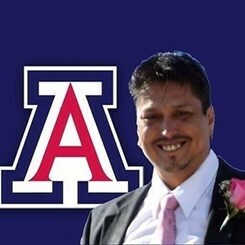 A little about me: I’m a graduate of Tucson High School and The University of Arizona. I started playing drums when I was almost four years old, school band in the fourth grade, and still play today. I was the percussion instructor for almost every high school in So. AZ, and then "The" U of A during the early ‘80s to early ‘90s, and also got to drum at our first Final Four appearance in 1988. I have lived in Nashville and Los Angeles, where I worked for a custom drum manufacturer and a record company. While in Nashville, I was fortunate enough to play with a few “big named” country artists and got some valuable recording experience as well. Mentors include: Prof. Gary Cook (U/A), Carl Cherry, “Casting Crowns”, Ralph Hardimon, Tom Float, Charles “Bucky” Steele (THS), Prof. Stephen Steele (U/A), Prof. James Keene (U/A), and so many other great directors, educators, and musicians. Music and music education are, and always will be, a big part of my life.